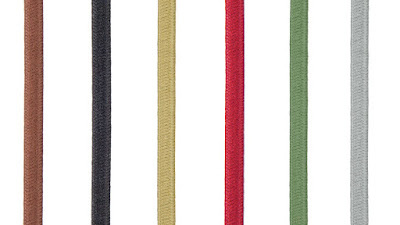 Covered lamp cord comes in a variety of colors and styles. 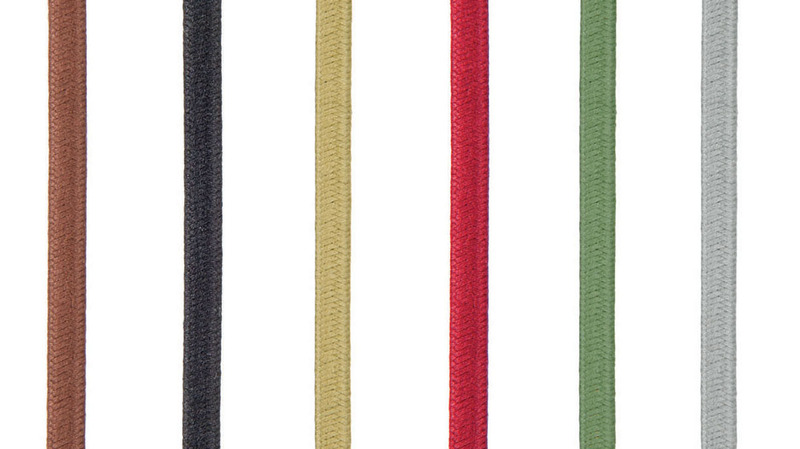 Some styles include parallel, twisted, and PVC and can be covered in rayon or cotton and dyed in a variety of colors. Unlike cord sets with a molded plug, these lamp cords need a plug attached to them. 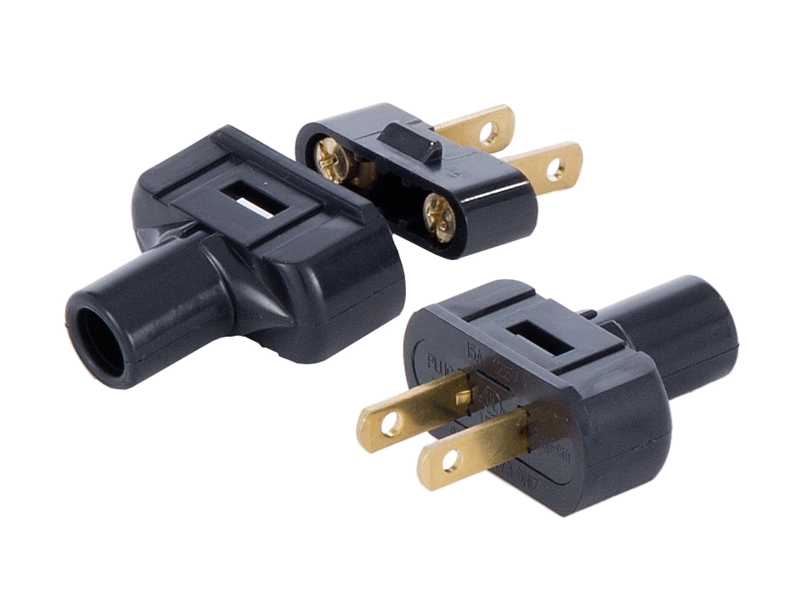 Different plugs sometimes have a special purpose like this plug designed for PVC cords. Attaching a plug to a covered cord uses the same technique. In this example we are demonstrating a covered PVC cord to a plug designed for PVC cord. First you slide the plug shell on the cord. Then you will need to strip back the cotton or rayon covering. For PVC wires you will need to strip back the plastic jacket. For twisted and parallel, skip to the next step. With the individual wires split and stripped down to the insulation, strip about 1/2 inch off the end. Twist the bare wires so they will easily wrap around the screw posts of the plug. Wrap bare wires around screw post in a clockwise direction and tighten screws. If your plug is polarized, the black wire or smooth wire connects to the brass screw that corresponds to the slimmer post. The white wire or ribbed wire connects to the nickel screw that corresponds to the broad post. Pull the plug shell up the cord and snap it on the plug interior. Other models might have an insulator or cap to place on the plug.